There is a lot and not much to say about The Haves and Have Nots. Fact is it is a drama series created and directed by Tyler Perry, who is equally loved and hated for his (in my opinion) hilarious character Madea, an older African-American lady played by himself, who appears in many of his plays and movies. However, his other movies, especially the latest ones were very dry and seemed forced, sometimes even meaningless. I personally disliked Madea’s Witness Protection (2012), which was loaded with talented actors, but unfortunately with no substance; and then we had Temptation – an insult in every aspect. I am a Tyler Perry supporter, so it is hard for me to speak about his work in a bad way. I honestly think this man is a true inspiration not only for people of color – by “of color” I mean everyone besides Caucasian – but for everyone who wants to be successful and believes in their dreams. 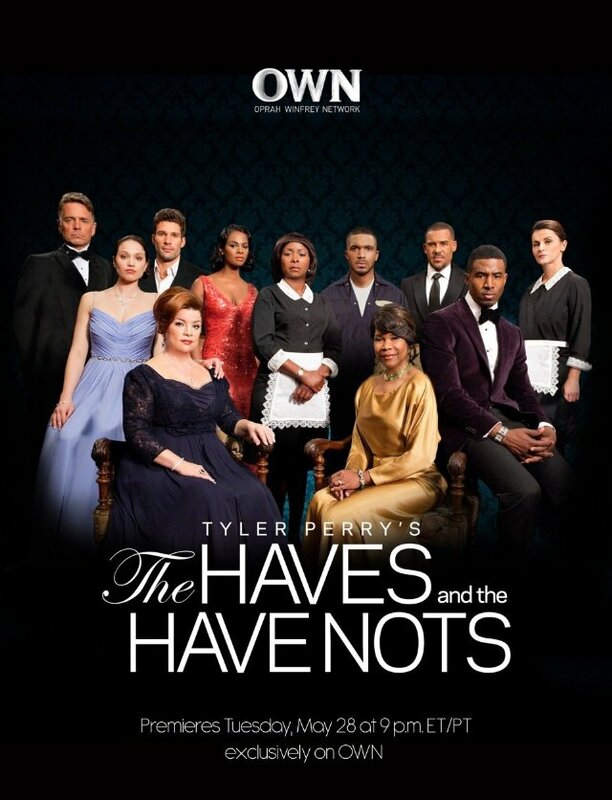 Apparently The Haves and Have Nots has a huge fan community judging by the tweets with the hashtag #HAHN; I have read a few and the fans seem very loyal, but so are the actors since they actually interact with the fans. The story is simple: The Life of a rich family, their hidden secrets and enemies. The dialogues are dragged out, not creative and make the actors look like they can’t act. The plot is often over the top and mainly unrealistic, so with that said, I am not a fan of it. I have watched the first episode, figured most of the story development out and decided to wait a few months to see if I was right. After about twenty episodes I tuned in again, and found myself exactly where I expected. So I was glad I didn’t waste my time. But there is a target group for this show. I mean, The Bold and Beautiful is on Air for 27 years and people are still watching it, so why not adding another soap opera for the black market? You might not remember, but there has actually been one black soap opera out: About twenty years ago NBC aired a show called Generations, starring Vivica A. Fox, Lynn Hamilton and many more. It was a groundbreaking show since it was the first soap opera that evolved around an African-American Family. After 2 years and 470 episodes it found and end, and ever since that there wasn’t a back soap opera on TV. But now there is, and all I can say is: Good for whoever watches it, and good luck to whoever is involved with this show. Maleficent (2014) – A Pure Delight! hadn’t heard of this show before. has there really not been that many black soap operas? interesting. No, there might have been a few black characters here and there but never a soap where the majority was black. Well, besides Generations.